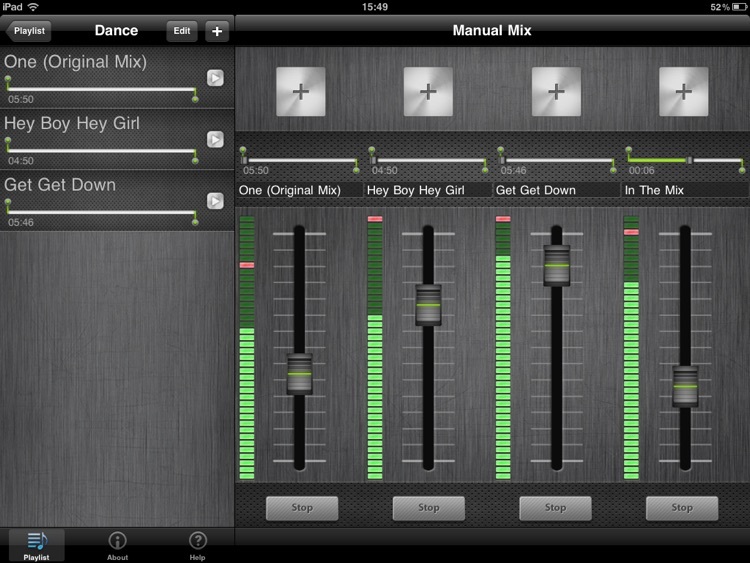 DJ Mixer is an affordable 4-channel music mixing tool for your iPad. 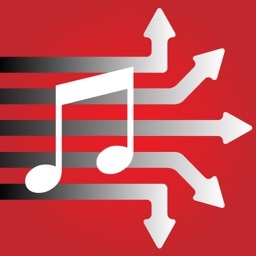 With direct access to your music library and AirPlay support! 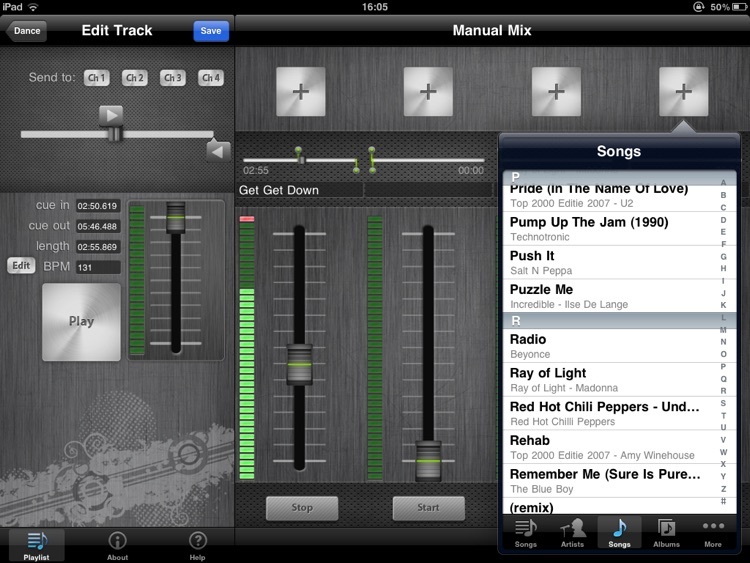 No need to re-import music, like many other apps require: you have full and direct access to all MP3s on your iPad. 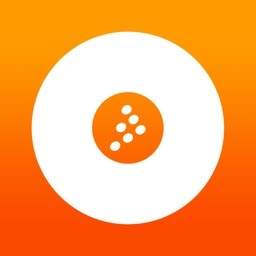 You can compile and edit playlists, mix mp3s in realtime, both fully automatic, and manually. 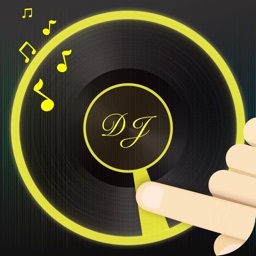 It allows you to play with your music collection, throw a dance party or just use it for fun. 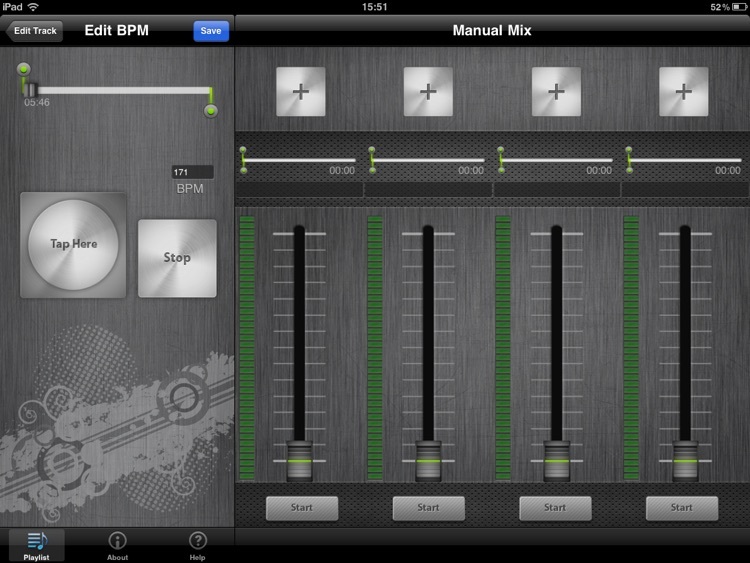 On the touchscreen, you can set cue points of mp3 tracks, sort playlists, count the beats per minute and much more. 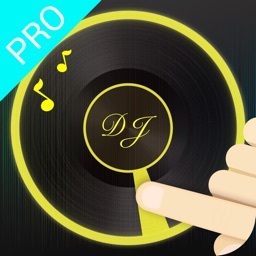 It's like a virtual DJ mixing console, in the palm of your hand. Make smooth transitions from one music track to the other by setting the start- and end-points of every mp3 file on your phone. 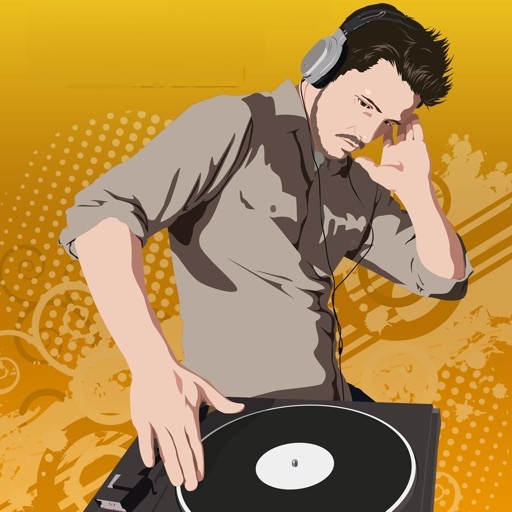 Create automatic playlists and watch the faders mix your tunes in realtime. Or mix manually at a any given moment. 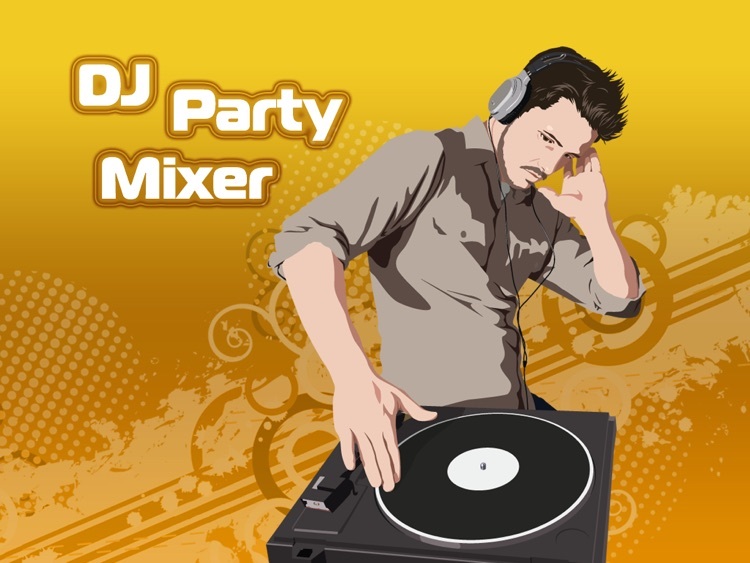 Also included are 30 free sound effects, like explosions, horns, applause, jingles, and so on. The music can be played over the phone's speakers, via headphones, to an amplifier with a lead-out cable, or wirelessly via AirPlay. AirPlay is the new technology from Apple that lets you stream audio via WiFi to your speakers. An Airport Express Basestation is required. The integrated beatcounter lets you determine the speed of songs in beats-per-minute for optimal synchronisation. * Cross-fading. Two faders are linked together. When you slide one fader up, the other one goes down and vice-versa. * Free-fading. The four faders can be moved independently. Last night the DJ saved my life, yeah.